Here’s a clever prank for you: Make the victim’s computer actually type the word “SPACE” every time they hit the space bar. They’ll be lost trying to figure out what on earth is going on, and it couldn’t be simpler. This one can’t be simpler—just find somebody at work who turns their PC off at night, come in before them, and boot off a Linux Live CD. Then leave an official-looking memo on their desk saying they’ve been upgraded to Linux, and watch them struggle to figure out what on earth they are doing. You’ll probably want to get rid of the Install icon, of course. This one is really simple to do—just create a shortcut to shutdown.exe on the desktop, and then change the icon to a regular folder, so when they double-click the folder to see what it might contain, they get a nice system shutdown notice instead. You can change the shutdown time to really far in the future so they won’t lose any work, but mostly so they get the full benefit of your nerd skills. If they are using XP, the effect is nice and dramatic, and you can even have some fun with the shutdown time… on Windows 7 you won’t be able to show off your geek skills quite as well, but they’ll still see something that will confuse them. 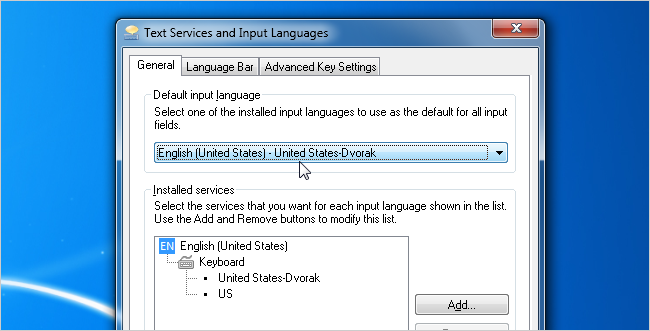 If you really want to screw with somebody without installing anything, just enable the Dvorak alternate keyboard layout that even most geeks aren’t familiar with. When they type, everything will go haywire. Head into Control Panel –> Region and Language –> Keyboards –> Change keyboards, then click the Add button and pick the Dvorak layout (or any other random layout you want). Once you’ve done that, use the drop-down above to set the default. You’ll probably want to flip over to the Language Bar tab and set that to hidden as well, so they won’t be able to figure it out easily. This usually works out better if the other person has a desktop PC, because you can hide the wireless mouse or keyboard receiver behind their PC, and then every so often type an extra letter, or move the mouse slightly. If you do it right, you can have some fun with this one for a long time. The great thing is that this should work for almost anybody, including people that keep their computer locked all the time. If they do have a laptop and a wireless mouse, you can simply replace their wireless mouse with an identical-looking one, since it won’t work for their PC. They’ll assume their mouse batteries are dead, and you can move the mouse pointer around the screen with their mouse. The prank won’t last as long, but it will be every bit as fun. Obviously the picture, courtesy of ehavir, shows a wired keyboard—but it’ll work much better with a wireless setup. We’ve covered this before, but you can easily stick custom text into the clock that sits in the taskbar—and most people won’t have a clue how to switch it back. Just head into Control Panel –> Region and Language –> Additional Settings –> Time, and change the AM or PM symbols to whatever you want. Or you can read how to do it for Windows 7 or Vista. You can really throw somebody for a loop if you use a simple AutoHotkey script to flip their trackpad to scroll in the opposite direction. They’ll be completely confused! 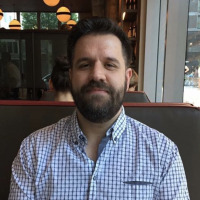 If they happen to have a laptop with a Synaptics touchpad, you can actually tweak this setting right in the Control Panel –> Mouse dialog, but otherwise, check out our article covering the script method, that should work anywhere. There’s any number of possibilities for this one, and the sky is really the limit—the idea is that you put something custom into the AutoCorrect so whatever they type gets replaced with something else. You can go subtle with it, and just replace a properly typed word with a typo instead, or you can get in their face with something more fun—like making anytime they type their name end up replacing it with “<Name> is a jerk”. Loads of fun. 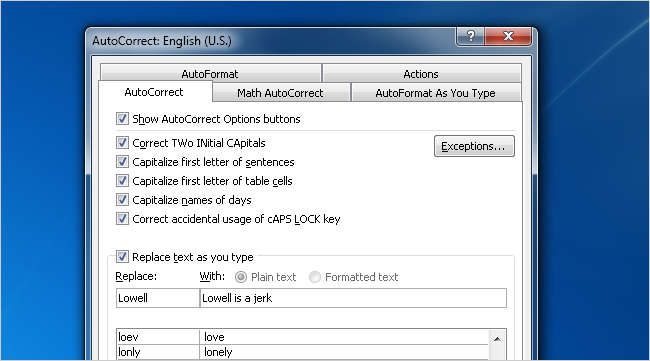 For Word 2007 or 2010, head to the Office button –> Options –> Proofing –> AutoCorrect Options. For previous versions… I have no idea. If you want this to be system-wide, you can use AutoHotkey instead. Even a serious geek is going to be pretty lost on how to troubleshoot a new tab repeatedly opening to a certain page every couple of minutes, if you bury that inside the task scheduler. Just go in and create a new task, run through the wizard and pick the browser executable, plug the site name into the arguments box, and then set the schedule to repeat the task every 5 minutes. Nice and simple, but oh so fun! Just head into Control Panel –> Mouse –> Pointers and change the Normal pointer to the busy one. They’ll think their computer is hanging all the time, but it’s really not. For extra fun, you could make the mouse pointers gigantic. That’s it. Once you press that key combo, their desktop will get flipped to the high contrast mode—you can press it again to go back to normal. The great thing is that even if their computer is locked, you can enable high contrast with the icon on the lower left corner. On Mac OS X, you can press Ctrl+Opt+Cmd+8 to invert the screen’s colors. Take a screenshot of the desktop with the icons where they are, set it as the wallpaper, and then hide the desktop icons. Move the desktop icons around, or create bogus icons, take a screenshot, and then set it as the wallpaper. This way some icons work, and some don’t. 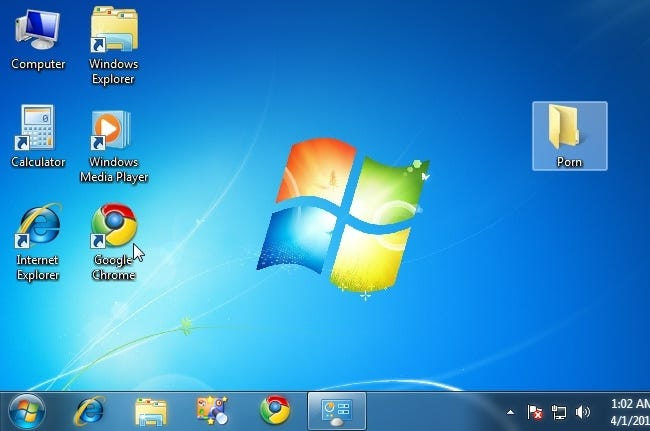 Take the screenshot of the desktop, and then hide the taskbar below the bottom of the screen before setting the wallpaper (this only works on XP). Even better: flip the image upside down before doing it. The result looks something like the image above, assuming you followed the second idea and created a folder on the desktop that they’d be sure to notice right away. They’ll keep clicking, but nothing will happen. Bonus? Combine this with the shutdown shortcut so when they do figure it out and try and open the folder… it’ll give them the shutdown prank too! Alright, so that was actually twelve pranks. Prank wisely.